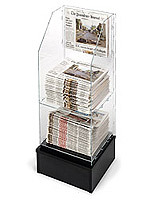 Newspapers come out daily in most cases, which is why so many merchants are in need of quality display stands. 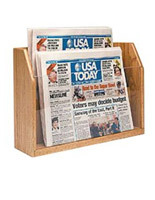 At MagazineRackShop, we supply a unique collection of news print holders to meet those needs. 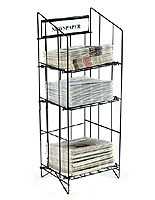 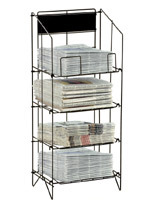 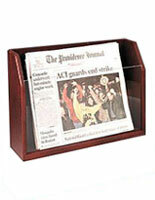 Browse our wide array of wire and wooden newspaper racks and stands . 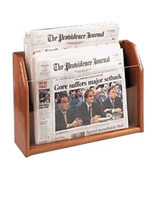 Many of these periodical display stands are equipped with a header area or a slot for a single paper to advertise the latest headlines or simply the name of the publisher. 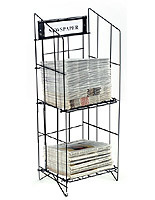 Made of wood, metal wire or clear acrylic, the newspaper racks and stands come in a number of designs to meet the needs of any retail store, supermarket or restaurant. 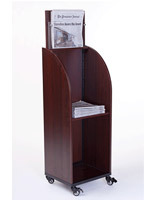 Other options that are available here are height adjustable shelves, multi-tiered shelving and wheels for easily moving to new locations. 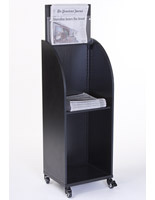 The displays can also include a header for featuring advertisements or informing passersby about the periodicals. 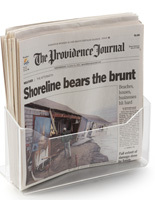 Customers love when they can see the front page of a newspaper right away and often feel compelled to pick up a copy as a result. 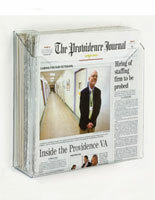 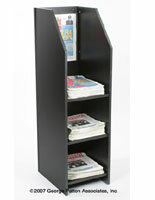 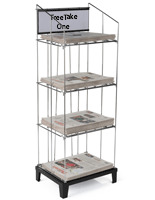 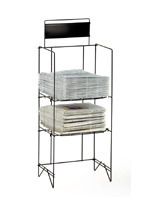 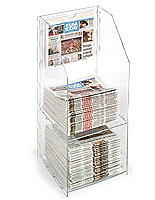 Give your customers what they want with one or multiple high-quality newspaper display racks!